This comprehensive wetroom tanking kit allows for safe installation of wet rooms and walk in shower rooms for ground floor and upper floor situations. This wet room installation is especially suited for timber subfloor circumstances but is also suitable for concrete subfloors. This established tried and tested wet room tanking system includes all that is required to produce a safe watertight tanked shower area. 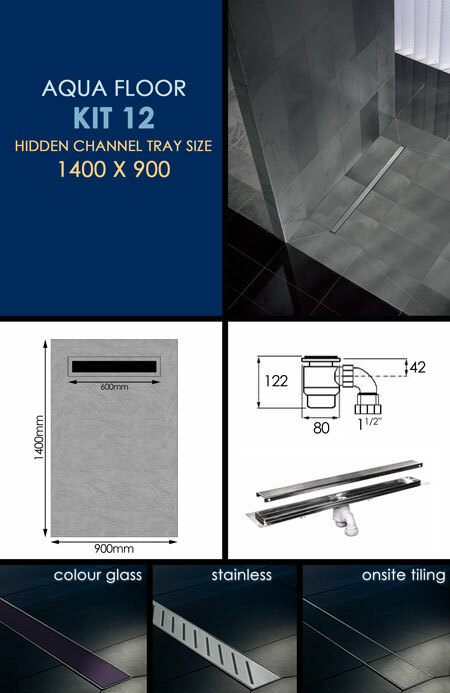 The kit includes a flush hidden shower tray with built in preformed falls, a 600mm long channel drain waste which is available with a choice of 3 grill styles, waterproof tanking boards, 20 to 40 linear metres of industrial tanking membrane tape for sealing, 4 x inner and 4 x outer corner seals, 1 x bottle of sealing primer, 1x tube of waterproof jointing compound plus full fitting instructions. * Supplied with stainless steel grill. 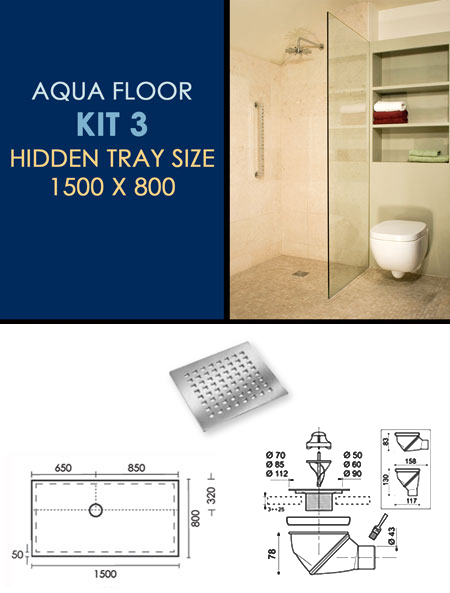 * 6m2 and 10m2 full wetroom kits.